Aight, Imma be straight wichu: this has been in my backlog for months. And it’s not because I don’t think it’s good. Anyway, I’ve been less than anxious to post this only because it’s not in my comfort zone, meaning it is not soup or pasta or a dip made with cream cheese. But you know what? That’s exactly why it needs posting. This dish actually has some nutritional value and is pretty tasty when you sauce it up all Asian-like. And it’s downright different. So Free Yo Mind, y’all. The rest will follow. 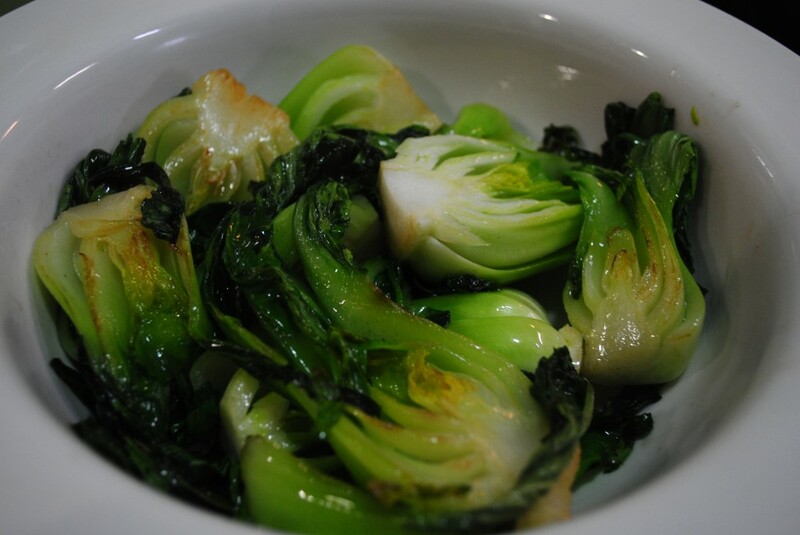 Blanch and shock the bok choy. Heat the vegetable oil in a saute pan. Sweat the ginger, scallions, and garlic until tender. Add bok choy. Season with salt, pepper, and sesame oil.